How would you like a monthly rebate check? For 20% of what you spend each month on products made by members of our extended American family? 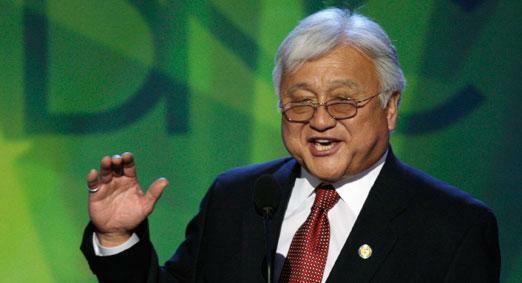 Well the guy pictured above, Rep. Mike Honda, D-Calif., would like to give it to you. Honda has proposed a bill in Congress that would provide a 20% refund of the price of goods made here in the U.S. As set forth in the article, people are already debating whether the Federal Government should utilize tax policy to encourage domestic manufacturing in this manner. And that’s the problem. Once an issue as important as reviving manufacturing to provide employment to members of our extended American family gets politicized, I think you get problems. That is why I have been advocating that we, on our own, be the agents for this important manufacturing revival. We can create jobs in this country just by deciding that U.S. consumer goods will be our default choice when shopping. It is easy and allows us to create jobs in manufacturing without getting the issue wrapped up in politics. Just think. By adopting the Simply American approach, your family can become your own little nation and adopt your own trade policy. Your youngest daughter might advocate for permission to import a Hannah Montana “Rockin the Microphone” blanket from China. Collectively your family could deny your youngest daughter an import licence for the blanket, citing concerns that you have very little idea about the materials that went into the blanket and you really don’t want to contribute to expanding our $300 billion annual trade deficit with the Middle Kingdom. You could graciously suggest an import substitution program that would offer her a stars and stripes cotton blanket made on these shores. While there may initially be some opposition from your youngest daughter, you can win her over. 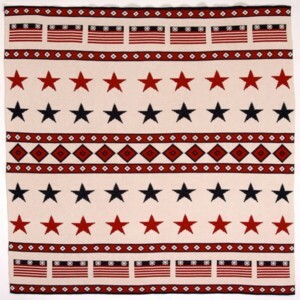 Just tell her that your purchase of the U.S. made blanket will provide jobs for people like her best friend’s mom who has been out of work for two years. We have to describe to people the real impact the choices we make when shopping has on our economy and our nation. Buying goods produced here, versus goods produced there, supports our economy by creating jobs for members of our extended American family. This entry was posted in american made, China, Made in America, made in usa and tagged China, Hannah Montana, Made in America, made in america products, Made in the USA, Made in the USA products, Mike Honda, rebate. Bookmark the permalink.